Video Game History 101: Technos Japan - NewRetroWave - Stay Retro! | Live The 80's Dream! As loyal readers may remember from previous articles (namely the Console Graveyard series and the Hudson Soft article), I have a wistful side to my nostalgia and sometimes seek to honor the entities from VG history that have come and gone. Many left only faint ripples in the fabric of our hobby, but some were veritable giants; it can seem surprising that they are gone and not simply sleeping, dreaming of wonders to show us in the future. The original idea-farm that brought us River City Ransom and Double Dragon… you’d think they were still running strong, right? You’d think, “anyone who made games like that back then has surely found a foothold in modern gaming.” Sadly, you’d be wrong… but like Hudson and other brands that met similar fates, the worlds they crafted are still alive and vibrant. Not unlike so many of its contemporaries in Japan at the dawn of the 1980s, Technos began out of a humble one-room apartment in 1981. Founded by N. Tomiyama and two other staff members of the already-established Data East, Technos released their first title in 1982, titled Minky Monkey, but also weathered a lawsuit from Data East claiming they had taken data from one of the company’s games in order to produce bootlegs. I was unable to find out details of how this case was settled, but it’s evident that the two companies made up and shook hands, because Data East published two Technos arcade games – the early hits Tag Team Wrestling and Karate Champ. In the beginning, Technos primarily used other companies for publishing and distribution; they simply lacked the capital to make this happen on their own until later. They made plenty of stuff for a primarily domestic market in the 1980s. This charming booger monster is from Bogey Manor (1985), a sort of puzzle-action platformer where you smash orbs in a haunted house, apparently to un-haunt it. Here’s a YouTube video. A comparison between the domestic Japanese (top) and Western (bottom) versions of Renegade for arcades. Double Dragon was released thirty years ago, in 1987 (’88 in North America) and became the go-to standard example of the beat ’em up format for long afterward. It spawned a trilogy as an arcade title and a long franchise dynasty as a console game. Double Dragon also helped solidify Technos’s foothold in the West due to its rampant popularity; as the eighties gave way to the nineties, there was even a live action film and a cartoon series based on the franchise. 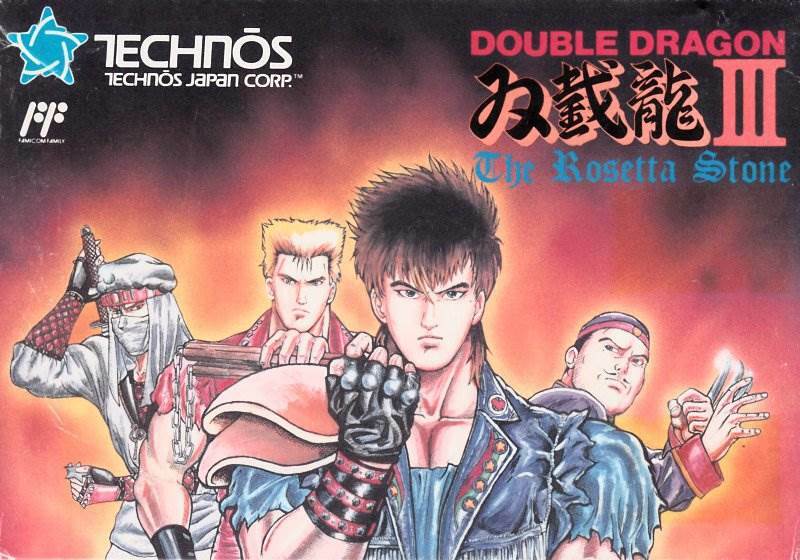 It wasn’t long after the release of Double Dragon that Technos formed an American branch in California. American Technos Inc. served primarily as part of something the main company had lacked earlier on: a means of publishing and distribution for its games in the West. At first, the firm partnered with Tradewest for many titles, but eventually operated more independently… until it closed down along with the main entity in the late 90s. Some rather bizarre art for the 7800 port of Double Dragon… The Lee brothers are represented as sullen, thick-skulled man-apes, seemingly indifferent to the suffering and indignation of Marian in the background. Hell, that may not even be Marian, and those may not even be Billy and Jimmy. Maybe this is just what awaits you in the Italian shock-cinema flavor of Technos’s arcade classic. I shudder to think. Meanwhile, Kunio-kun made the leap over the Pacific as well… and adopted a Western name, Alex. Downtown Nekketsu Monogatari, which US players will know as River City Ransom and Europeans will know as Street Gangs, made a lesser impact than Double Dragon but still did very well as a console title. Other chroniclers of retro VG throw around the term “cult classic,” but I don’t see it that way; River City Ransom was fairly common in most NES libraries (despite its initial lukewarm reception in the West) and was far from unknown. It remains perhaps my favorite title from Technos, standing out in my mind for its then-novel combination of ball-busting beat em up mayhem and loose RPG elements. River City Ransom certainly aged well, building in popularity over time and seeing re-releases in astounding frequency. In fact, systems as recent as the GBA have released updated versions, and the original is available on the Wii and 3DS. What most of us think of when we remember RCR, and rightly so. 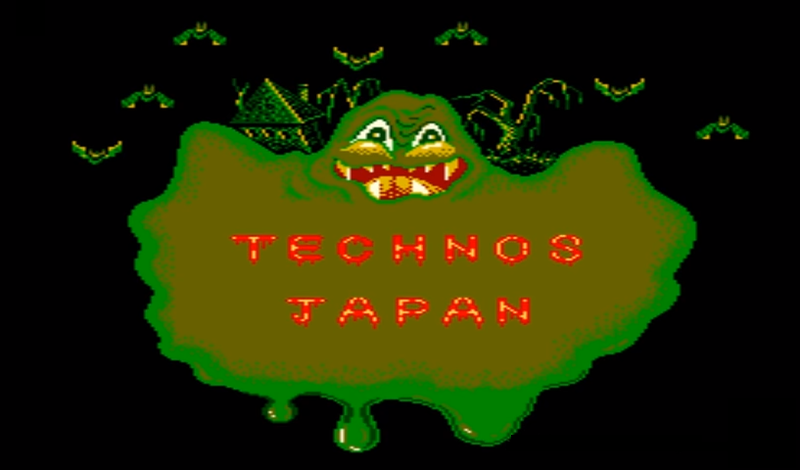 Sequels and continuations of Kunio-kun’s exploits continued to do well back home in Japan, and Technos made modest impacts with SNES sequels to their popular franchises in the early 90s, but the unfortunate truth is that by 1996 Technos was closing its doors. Like Hudson Soft, this was not a sudden plummet or a shameful collapse; it was a quiet and somewhat dignified end for a company that had enjoyed success worth being proud of but had also seen the writing on the wall. After its closure, Technos’s intellectual properties were acquired by a holding company called Million, who held onto these lauded names until 2015. It was this company that produced/licensed the Game Boy Advance titles bearing the names of classic Technos properties like Double Dragon and River City Ransom and the re-releases of originals for Wii’s Virtual Console. In 2015, Million sold the whole bundle to Arc System Works, who retain them to this day. Nothing brutal, no scissor-and-stitch work. Just a gentle addition to the space beneath the brand-name. Respectful enough, I suppose. While not everyone who has put hand to joystick will know Technos by name, gamers with a passion for the history of the art form will tell you: Technos is worth remembering, not only for the fantastic work they put out, but as an example of how stars rose and fell in that golden cutthroat era of the 1980s-1990s, when the soil was fertile and the blood was hot.